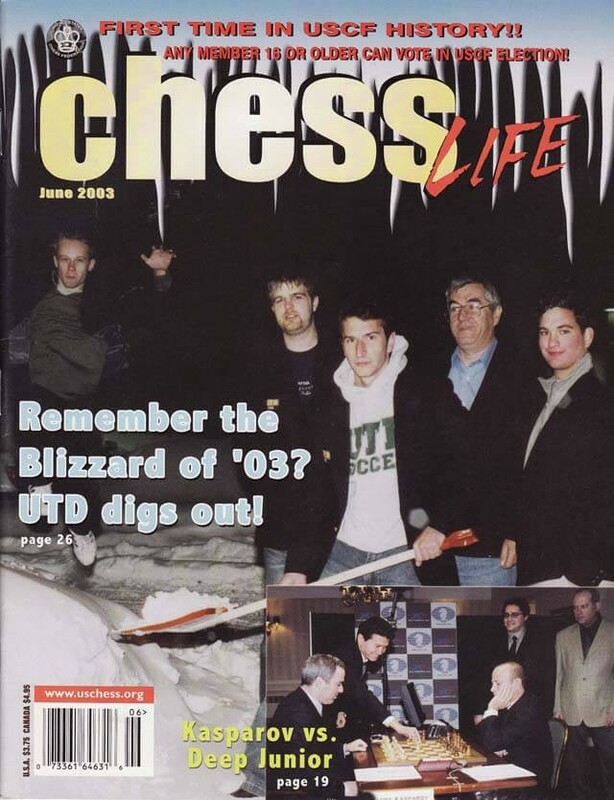 The June 2003 Issue of Chess Life Magazine examines the high-profile Kasparov vs. Deep Junior match held in New York City. There is also a write-up on the 2003 US Amateur Team Tournaments.